Two weeks ago, at Social Media Marketing World 2018 (SMMW18), social media experts from all backgrounds came together to talk about social media – where it’s going, how to best utilize it, and what it will take to “make it” in 2018. This conference was packed full of experts in the field of social media and marketing. Including experts like Guy Kawasaki (Apple’s former chief evangelist), Michael Stelzner (Social Media Examiner’s founder), Mark Schaefer (social futurist), Mari Smith (leading Facebook expert), and 165+ other speakers across all different types of fields. Some of you may be familiar with those people, others may not, and many of us who haven’t maybe should. Regardless, I introduce the conference because at the heart of it, SMMW18 is a collaboration of experts that has given us a window into the bigger picture of social media for churches and how we can best utilize the tools available to advance the Kingdom through marketing and organic reach. What the Experts Had to Say: Where are We Going? What does this tell us? Facebook is a BIG deal! So, what happens when Mark Zuckerberg announces at the beginning of this year that there will be big changes to Facebooks algorithm?! Maybe some of you took part in the panic, but I’m sure most of you were more curious than anything. Nonetheless, the news has issued a shift in the social media marketing atmosphere. Well, ironically, a shift back to social media’s initial intent. Connecting people. Brian Solis, long-time social media evangelist and sociologist, spoke in his keynote about how social media was much simpler and more wholesome in its infancy. Social media at its start was about making connections with people and information. It was about taking offline interactions – online and vice versa. Compare that to today’s use of social media which is much more focused on the number of likes, comments, shares, and about how popular someone is or isn’t. In practice, most people compulsively check their social media accounts throughout the day and passively take in a wide range content that may or may not actually relate to them and that may or may not actually involve another person. Even Mark Zuckerberg mentioned that there’s been a “crowding out [of] personal moments that lead us to connect more with each other”. What that means… well… not even Facebook is sure what that looks like. Thankfully, people much smarter than myself have been researching and testing what seems to be working and what they think will work in the near future. I touched on this above, but all throughout SMMW18 speaker after speaker spoke about the need to show our humanity. 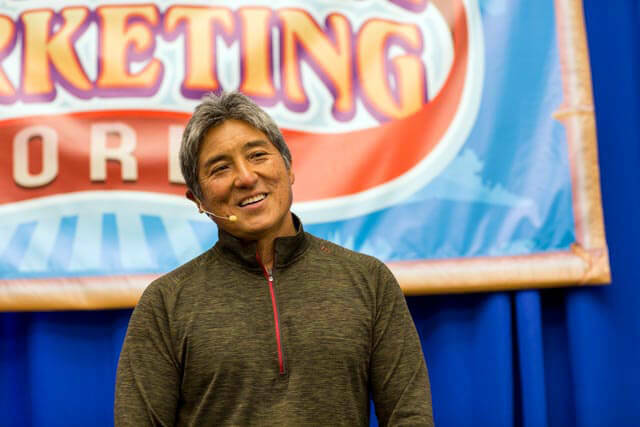 Phrases like, “human centered marketing”, “being human at scale”, “conversational commerce”, and “relationship marketing” dominated the conversations at SMMW18. I think Mark Schaefer said it best when he said that in the past brands (churches) were built on their total advertising impressions – on how many people saw them. But now, the future of brands will be, “…built through the accumulation of human impressions”. The future will focus less on the number of people who’ve seen you and more on the number of people that have been touched by you. Good news! For the church this should be easy! People are hungry for genuine content that does not scream “business!” or “marketer!” but rather, “I’m human!”. Think about it. What is going viral? What’s really speaking to people? It’s not the hyper professional video about someone talking about their business/church. No, it’s the video about a girl wearing a Chewbacca mask, being herself, having a good time. Granted, that’s not the type of content most of us will be focusing on, but the principle of it is what matters. Show your humanity. Have a little fun. Be conversational. Another common theme throughout the conference was about this shift from public to private usage of social media. Mark Schaefer coined this shift, “the cocooning customer”. People are focusing more on smaller, more private groups, that speak directly to them. People want to be part of a community. Guess who is also really good at building community? The church! We can capitalize on this shift to, “Smaller, more relevant, and engaged audiences… (Michael Stelzner). As I mentioned above, this is not about popularity. It’s about creating a family. A group of people willing to help each other out. Not only is it good to foster a healthy online community from a general standpoint. It also helps make sure your content is at the forefront of Facebook’s newsfeed. One thing that Facebook has specifically mentioned in regard to their new algorithm is that it will look for longer comments above shorter comments. As content becomes more specific to the user it breeds more engagement. One of the ways in which the algorithm looks for that degree of engagement is through the length of the comments. As many have said before and as many continue to say… You need to be doing video! Why video? Simply put - Video is more engaging. Mari Smith, long time Facebook expert, spoke about a shift in strategy for marketers. Many of us have heard that “content is king” but providing content for the sake of providing content is not enough anymore. You need engagement to stand out. Mari Smith said it this way, “content [may be] king… but engagement is queen and she rules the house”. So, we know that video is a great platform to stimulate engagement, but what type of video content has seen results? Well, for one, if you are not doing live video already. You need to start. On average, live video gets 6x more engagement than that of a static image. That’s a big difference! Remember, the goal here is to create meaningful interactions with your people. We are trying to create a community and video is one of the best tools to help you relate to your people in an easier, more genuine manner. That’s cool and all… but… Now what?! If you have ever been to a conference or large training event camp you know that those events can be like drinking from a firehose. It’s a non-stop flow of great information but when it comes down to it, the hardest part about those events is not what you gain in the moment, but what you do with that information afterwards. In the words of Bruce Lee, “Knowing is not enough, we must apply. Willing is not enough, we must do”. One of the easiest ways to foster connection online is through a Facebook group. Facebook groups are about bringing people with a shared interest together. I don’t know of a better shared interest than that of a church body. The purpose in creating this is to create a micro community of followers from your congregation that are highly engaged, willing, and able to serve, and grow your church and the Kingdom at large. This is about empowering your church members to connect with pastors and other members of the congregation online all throughout the week. These groups can be as specific or as general as you can think of, but don’t create them without purpose or training. You have to teach people how you want them to interact with you. If that’s with prayer requests, then tell them and show them that. Get people offline who can help you to build these communities online. It’s less about how much you post and how often (although those can have an impact on engagement) and more about what you post. You can’t have meaningful interactions without meaningful content. Don’t miss hear me though. This doesn’t mean you have to have all of the fancy camera equipment and lights. What it does mean is that we shouldn’t be posting content just to post something. You will get lost in the news feed. Take a second to really think about why you are sharing what you plan to share. Invite engagement from your community. Ask questions, allow your community to discuss what’s new or changing in the church. Get their thoughts and focus on being human. When possible, use external links to other content sparingly and focus on creating custom content. Even if that custom content just involves you sitting in front of your phone camera sharing a testimony. I mentioned this above, but it is worth mentioning again… live video gets 6x more engagement. 6x! Wow! What happens to videos with high engagement? That’s right – front page of the news feed. Even better, create a video series that people can watch again and again. For churches this may look like ministry training videos, videos explaining and walking alongside the different programs offered by the church, this may even look like a city walk through where you video yourself praying for different aspects of your city in different areas of your city. Get people involved with these videos. Wait… video?! ME?! Yes you. Does that terrify you?! Are you overwhelmed?! For many of us that struggle with social media, the idea of creating an online micro community seems daunting. For some even just posting an external link to some other piece of content semi-related to your church can be challenging. Let alone getting in front of your smart phone and recording yourself talking for an entire video series. Regardless if you are an expert or not, I want you to be aware that people will gravitate toward genuine content. Remember, this is about being Human. If you are honest with yourself and your congregation I think you’ll be surprised at how open people are willing to connect with you online. So… say I am interested in attending your church or participating in some service or program you offer. I go online and scroll through your website or landing page for about 10 minutes. I get scared because I am going to a new event, new program, new church that I have never been to, and I can’t get that one question I’ve been dying to ask answered. I’m a millennial, so I don’t bother to call anyone (funny, because I am a millennial). I then let worry and a whole range of emotions convince me that maybe I don’t need to attend said church or program. So… I don’t! What’s wrong with that picture? Well for starters, they are going. Secondly though, is that it was a monologue. A monologue going through the minds of potential followers of Jesus. So what can we do to help prevent this? In come our good friends the Facebook Messenger bots. These little guys help to bridge the gap between decision and action. They can be used to help ease the worries that many people have about going to a church for the first time. You can use messenger bots on your Facebook page to help potential attendees get answers to their FAQ’s or to further explain what to expect when they come to your church for the first time. There’s a large range of things you can do with Facebook messenger bots that all help to utilize social media in the way it’s supposed to be used – as a tool to create conversation and social interaction. Again, the point of this is not to have the cool “new thing” but to help facilitate an easier transition into face-to-face connection. Connection, that as many of you know, is a gateway to an eternal life with Jesus. Well… that sounds great…but… I’ve never heard of Facebook Messenger Bots or don’t know how to get started? You are not alone, check out a post we did explaining what they are, how they work, and how you can use them in your church. Some of you may be thinking… wait! wait! What about Augmented and Virtual reality?! Isn’t that a major part of the future of social media? I would say you are right. Augmented reality and virtual reality are going to become key influencers in our culture. In fact, some people have already started to use this technology to reach a specific niche in the church atmosphere. AR/VR was talked about heavily during SMMW18. However, that technology for many people is still very much out of reach. It’s fascinating to talk about all of the different applications of those pieces of technology, but in reality (pun intended) it is still 5-10+ years away from mass adoption. If you’re really, really, interested in AR/VR you can check out our free download which is a collection of all of the information and resources that we have compiled for churches on this new growing tech. Again, might I remind you of the words of Bruce Lee “Knowing is not enough, we must apply. Willing is not enough, we must do”. With that being said, if you haven’t heard about CV Outreach and what we do, I'd encourage you to check out our programs and see if there is a way that we can partner with your church to reach more people online. Working to have an engaging social media presence at your church can be overwhelming, right? We created our Social Partners program in order to save churches time and money in their social media efforts. Do yourself a favor and check out this free program today.